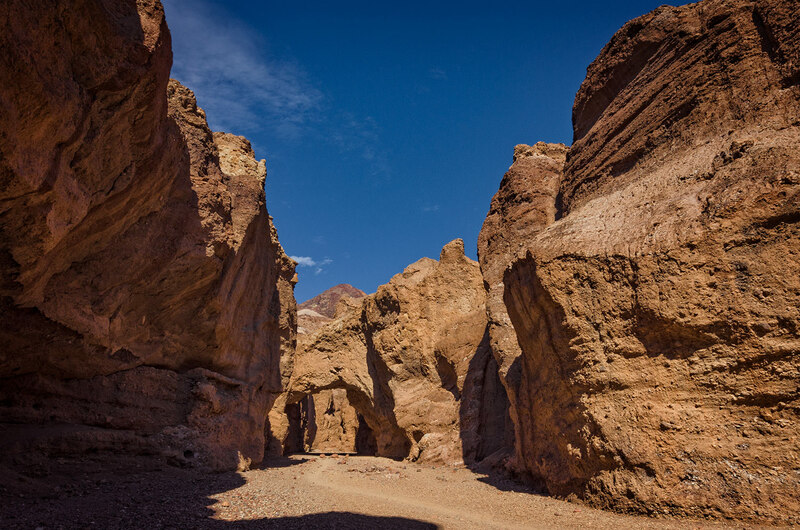 Regardless of the time of the year, a visit to the Death Valley National Park could lead to an extreme situation where you find yourself stranded for days. I almost got caught in such a situation, but luckily I managed to get out without any incidents. It was a turbulent time but fortunately, I managed to stay on and get out without any problems. Now that I know better, here are a few things I feel you should consider when planning your trip to Death Valley. These tips essentially work for any deserted and isolated place out there, but definitely do for spots like this desert region. Death Valley is known to have extreme weather pattern so always check the weather before you go. Even when weather reports state things would be smooth and good, always be prepared in case Mother Nature decides to throw in a surprise. At times you could be facing high winds gusts at speeds from 70 to 120 miles at times, heavy rain, and flash flood with no warning. Therefore, while it helps to see some normal weather reports in the forecast before heading out, you should also be ready to handle the situation in the event the weather takes a turn for the worst. Suppose you find yourself in a situation where the weather did take a turn for the worst, do not immediately try to run off and brave the harsh conditions. You could be endangering yourself, those with you, and others on the road. Instead, find a safe spot to stay put till the weather conditions calm down. You could try to set camp within the campsite, find a hotel, or just enter a safe building like a restaurant if possible. You are safer away from the weather condition than when you head straight towards it. Always carry a portal GPS if you are venturing into the depths of Death Valley. I have often heard other explorers mention that sometimes even with a good GPS, they have gotten lost and spent hours finding their way out. I would definitely recommend carrying a portal magnetic compass and a paper map. Remember that you are going to be in the middle of nowhere. Death Valley is a place where you probably would not see another soul within miles from where you are. It also is a place where there is a terrible cell phone reception at almost 75 to 80 percent of the park. So if you are thinking about using your cell phone as your GPS, Phone, and camera –DON’T!. If you have pre-planned your trails using GAIA GPS carry a small battery back to keep your phone charged up. You could invest in satellite phones but that can get too expensive. I would suggest that you give a detailed plan of your trip to family members or friends, so you can call them and check in and get route suggestions whenever you get cell reception. This is also why you really should keep paper maps or printed directions handy. If you are planning to explore outside the main route and venture deep into the National Park, prepare yourself for any situation that Nature might throw at you. Always have ample supply of water, food that does not need refrigeration, medication if any, and other toiletries supplies. You should be able to manage for at least a few days in the event the worst case scenario happens and you are stranded. Not all vehicles are suitable to get to all the spots within Death Valley. There are spots that can only be accessed using a high ground clearance 4×4 or AWD. So do your homework and or check with the park rangers to get a clear picture of the road condition and the route. Do not rely on what you see on Google maps as the roads may look paved but not the case all the time. Always wear clothes that let you handle the extreme changes in the weather pattern that is possible. It could be blazing hot in the day and super cold at night. The best way to deal with this is to wear your clothes in layers. That way, you can add on more if you are cold, and remove a few if it gets home. A hat, winter cap, proper gloves, a thick jacket, a good set of socks and shoes is a must to have on you when visiting the Death Valley National Park. This is because you would find yourself 10,000 feet above sea level and 288 feet below sea level in a matter of hours, and also face sudden changes in the weather without any warning. Camping is permitted only in designated areas and there are plenty of camping areas all throughout the park. Some of them require a reservation and some are available on a first come first serve basis. However, you can’t pitch your tent anywhere you like unless you are completely off the grid (that’s a different story). So have a good Sleeping bag/ Camping tent /blanket to keep you warm and comfortable. Be sure to leave no traces behind. Clean up after yourselves and be sure to minimally disturb the surroundings and carry all your trash back with you to dispose of appropriately. Make sure that you carry a good flashlight. This will come in handy at night. You should also have extra batteries and a portable power bank to power all your electronics goodies like your phone, camera, your laptop, and anything else that you carry with you on the trip. These are all the safety tips I have for now. I would surely add more if I experience any other situations while on my trips out to Death Valley National Park. Therefore, plan well and have a safe and fun trip to this fun desert park.